Trust us. We know flowers. 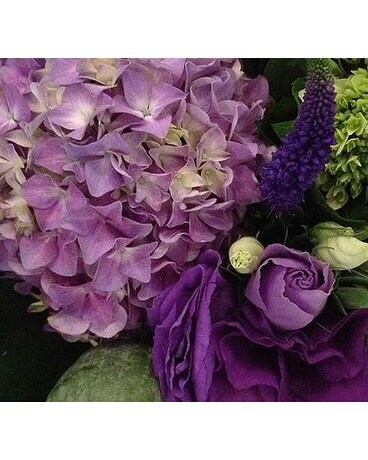 Whatever your budget we promise to make something gorgeous for you in an amethyst and purple palette. Please specify in the "special instructions" if you prefer a vase or bouquet otherwise we will leave it to the choice of our talented designers. All "florists choice" will be created with love and neutral seasonal blooms and foliage. Feel free to call us at the shop with further questions or inquiries.